Ready for Quote Challenge Day #2? Let’s go! Quote: Good fences make good neighbors. Truer words were never written. That’s why I have a 6-foot privacy fence between me and my loony neighbors. Yes, that’s a trampoline right up against the 6′ fence. 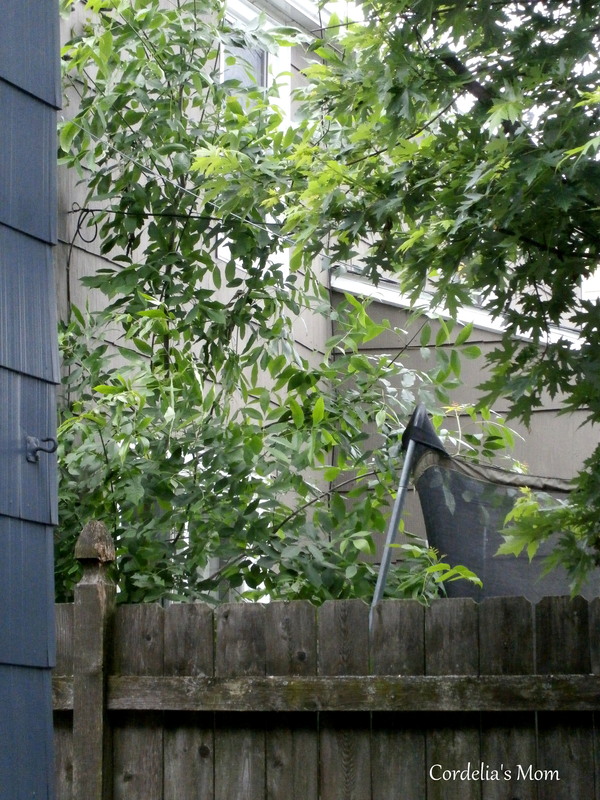 My kitchen window is just to the left, on the blue-gray house – nearly across from that trampoline. Can you imagine what my life would be like if that fence weren’t there? At the rear of the yard, in line with the trampoline, is an above-ground pool, which leaks into my yard every, single year. 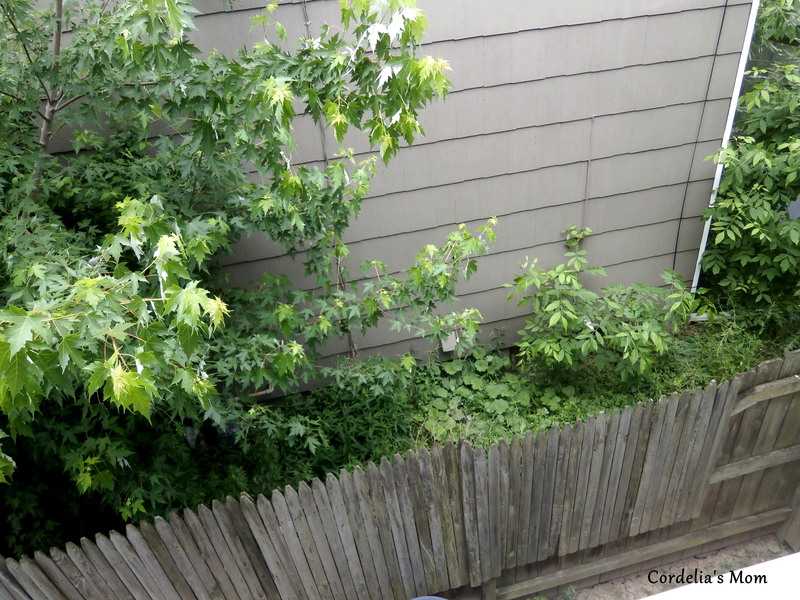 And then, there’s the overgrowth problem. There’s a gas meter in there somewhere! I will be so glad when that foreclosure action begins! This entry was posted in That's Life and tagged bad neighbors, fences, Mending Wall, neighbors, quotes, Robert Frost. Bookmark the permalink. For sure. It really irks me to see her filling up her pool or watering her flowers, knowing she hasn’t paid her mortgage – or her water bill – in more than 15 months! Unfortunately, we live in a town that does not cut water off for non-payment, they just put a lien against the property for the next owner to deal with. Hopefully, the bank will have to pay the water bill in connection with the foreclosure. If not, then hopefully the next purchaser has a good attorney because this is the type of thing that should be looked for. ha, ha. That fence was worth every penny that we paid for it.